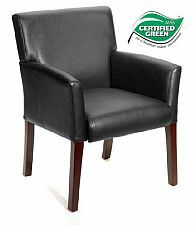 We have an overstock on this traditional Oxblood vinyl wingback guest chair. 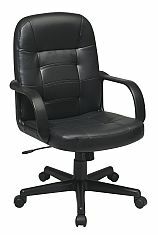 This chair is on sale for only $199.00 per chair. 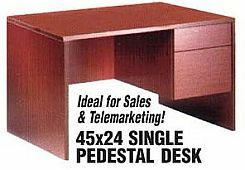 Hurry as these will not last. 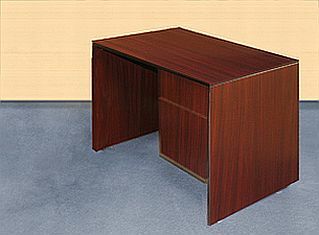 This is a 60x30 desk with a 20x40 return with a box drawer and file drawer on both sides. 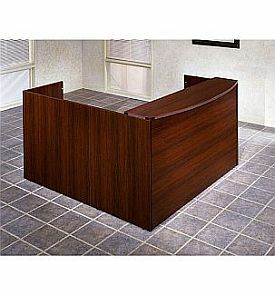 It is available in Mahogany or Cherry laminate. 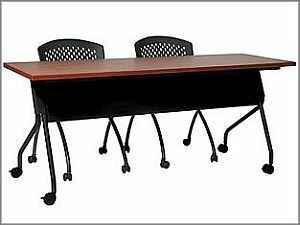 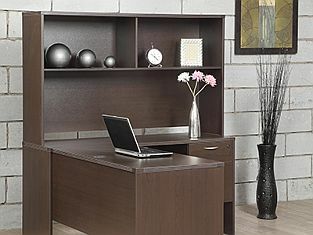 This 30x48 desk with a box and file drawer is one of our best sellers because it is stocked and sold at a low price. 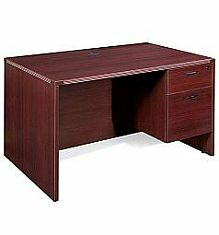 Cherry or Mahogany only. 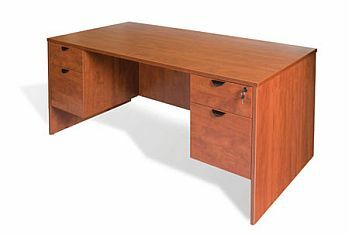 This desk is 60x30 with a box drawer and file drawer on each side. 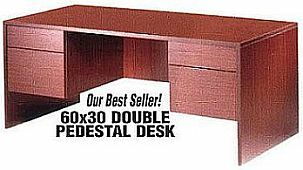 Available in Cherry or Mahogany only. 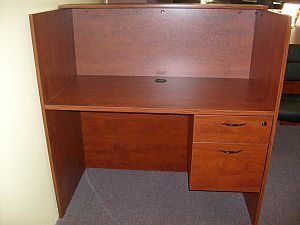 This is a 60x30 desk with a 42x20 return with an open 60"w hutch. 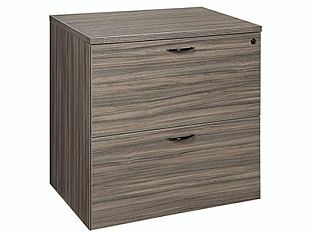 This unit has 1 box file drawer and is on special for the low price of $429.00 for the complete set. 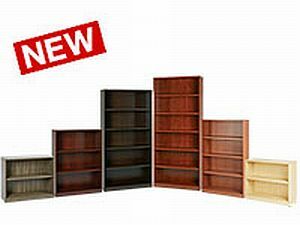 Available in Espresso,Cognac,Cherry and Urban Walnut. 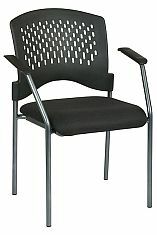 We have a limited amount of these chairs in Black only. 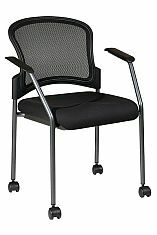 This chair has a great lumbar back support and adjustable height arms. 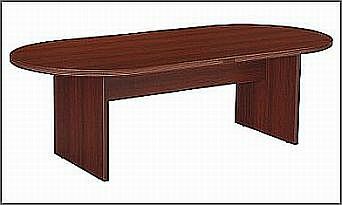 This table has a beautiful and distinctive fluted edge. 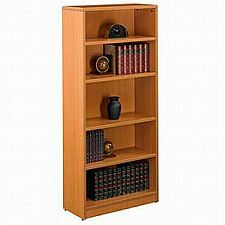 It is available in many colors. 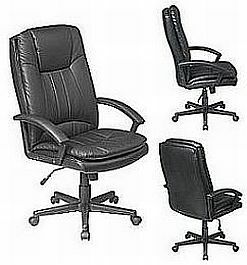 This black leather executive chair is perfect for the office, conference room or home office. 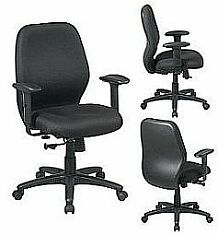 It comes in black only for the low low price of $89.00 per chair. 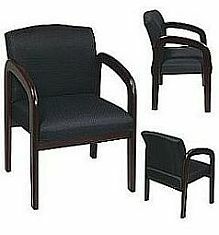 We have many mesh,leather and fabric floor sample chairs that are waiting to be moved out for new merchandise. 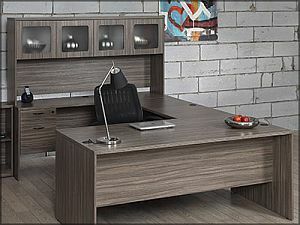 Come into our showroom and take a look for yourself. 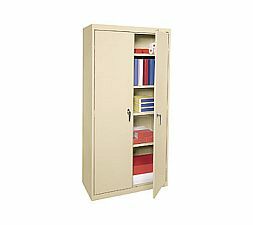 These metal storage cabinets are 36"w x 18"d x 72"h and come completely assembled. 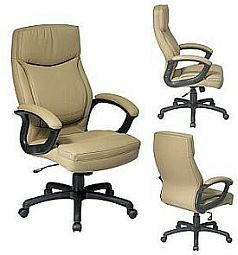 They are available in Black, Putty and Grey. 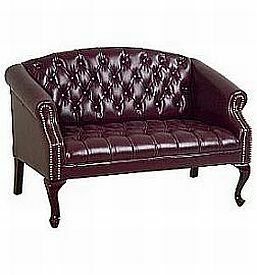 This is an Oxblood and Mahogany tufted loveseat with an extremely comfortable cushion. 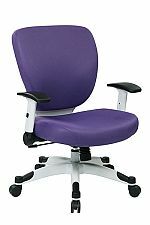 This is a contemporary white frame task chair available in 12 colors. 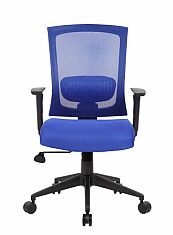 It has a padded mesh seat and back in Steel,Rouge,Violet,Sky Blue,Olive,Jade,Black,Green,Blue,Red,Pink and Purple. 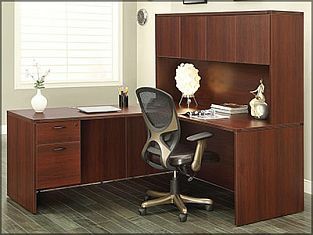 So, brighten up your room and order your color today. 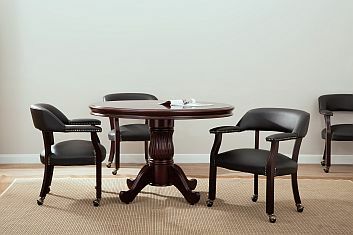 This elegant guest chair comes in 3 color wood frames with Black vinyl or Black, Burgundy or Blue fabric.